We tend to ask the question: “What is the cause of blood vessel disease”? Would you have expected that at this point there are not just one cause, but seventeen causes of blood vessel disease identified that can all be treated? In the May 2015 issue of the Life Extension Magazine one of the causes, high homocysteine has been stressed as being an important risk factor that not every health professional has yet appreciated. In the following overview I will briefly address all of the risk factors for cardiovascular disease and then summarize what can be done to prevent heart attacks and strokes. 1. 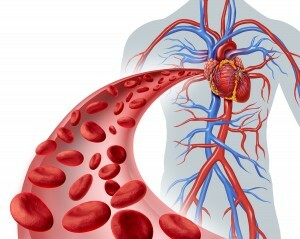 Excess cholesterol: Too much cholesterol can lead to clogged arteries. When we eat too much red meat too often, this extra dietary cholesterol can elevate your total blood cholesterol. 2. High LDL cholesterol: The LDL cholesterol is often labeled the “bad cholesterol”. In reality it is the cholesterol that is being transported from the liver to all of the body cells, which utilize it to replace the aging membranes that envelop the cells. What is important to know is that sugar and starchy foods (pasta, cakes, cookies, noodles, white rice, potatoes, pizza, muffins etc.) lead to a surge of blood sugar, which stimulates the liver to produce more LDL cholesterol. Any excess sugar in the blood will oxidize the LDL cholesterol, which leads to accelerated hardening of the arteries. 3. Low HDL cholesterol: HDL is the type of cholesterol that is transported from the cells back to the liver. Any oxidized LDL cholesterol is also mopped up by HDL cholesterol. HDL cholesterol has been dubbed the “good cholesterol”. It is important that LDL and HDL cholesterol are balanced. It is noteworthy that HDL cholesterol is much higher in athletes and those who exercise on a regular basis (like 5 to 7 times per week). This means that there is a surplus of the protective HDL cholesterol, which prevents hardening of the arteries. 4. Oxidized LDL: As explained above sugar and starchy foods oxidize cholesterol, so does radiation. A Mediterranean diet including olive oil will stabilize your metabolism and protect LDL from being oxidized. 5. 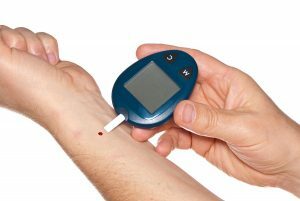 High blood sugar: In pre-diabetes and diabetes, the blood sugars are high, but they are normal in people with a normal metabolism. As explained before it is this scenario, which leads to oxidation of LDL cholesterol and accelerated hardening of arteries. This is the reason why diabetics have severe blood vessel disease with closure of major arteries like the one going to the legs. If arterial by-pass surgery is not feasible because of the severity, often a physician has no other choice but to amputate a lower leg. 6. Excess triglycerides: People with excessive weight have a change in metabolism called metabolic syndrome, where triglycerides are high. But diabetics also often have high triglyceride levels in their blood. This is an independent risk factor to develop hardening of the arteries. 7. Elevated C-reactive protein: Dr. Paul Ridker published a landmark study in 2002 where he concluded that the blood test C-reactive protein was a reliable indicator to identify people who were at risk of developing heart attack. It measures inflammation in the body. What is inflamed here is the lining of the arteries from oxidized LDL cholesterol. I hope you see a pattern. Some of these points are actually connected. 8. Low blood EPA/DHA: Essential fatty acids are not contained in processed foods. Instead the food industry puts omega-6-fatty acids into processed foods, as this is much cheaper and leads to a longer shelf life of the processed food products. Omega-6 fatty acids are the precursor for arachidonic acid, which causes inflammation, hardening of the arteries and arthritis. By introducing fish oil or wild salmon two or three times per week you can achieve a counter balance to omega-6-fatty acids. Our bodies want us to balance omega-6 fatty acids with omega-3. 9. Excess insulin: with type 2 diabetes there is a high fasting insulin level. This leads to inflammation of the blood vessel wall and triggers accelerated hardening of the arteries. It also causes the brain arteries to get narrowed, and as a result the brain develops Alzheimer’s and dementia. Alzheimer’s is now called “type 3 diabetes”. An overweight or obese person who cuts out sugar in the diet and exercises can often control excessive weight, lower insulin and normalize cognitive deficits. 10. Excess fibrinogen: Blood clotting factors are manufactured in your liver and this is balanced by fibrinolytic factors that circulate in the blood. In certain conditions like diabetes, or the metabolic syndrome too much fibrinogen is produced. This can lead to blood clots. 11. Excess homocysteine: Some people are born with gene defects that program our cells to run abnormal biochemical reactions in our cells. Correct methylation pathways are important for normal cell function. However, if there is a methylation defect, abnormalities set in and homocysteine accumulates. As we age, there is also a weakening of certain enzymes that are involved in the methylation pathway. With any of these enzyme defects you need to use appropriate supplements to normalize this metabolic defect. Vitamin B2, B6 and B12 supplementation will often stabilize methylation defects and homocysteine levels return to normal. Methyl folate 1 mg per day is also very useful. Some people in older age cannot metabolize folate very well. This is important as severe, familial cardiovascular disease, where people often suffer heart attacks during the best years in their lives, can be postponed this way by several years or decades. 12. High blood pressure: Many people are not aware that high blood pressure is a disease where the linings of the arteries are inflamed and there is too little production of nitric oxide. Nitric oxide is a signaling substance contained in many vegetables, particularly in red beets. 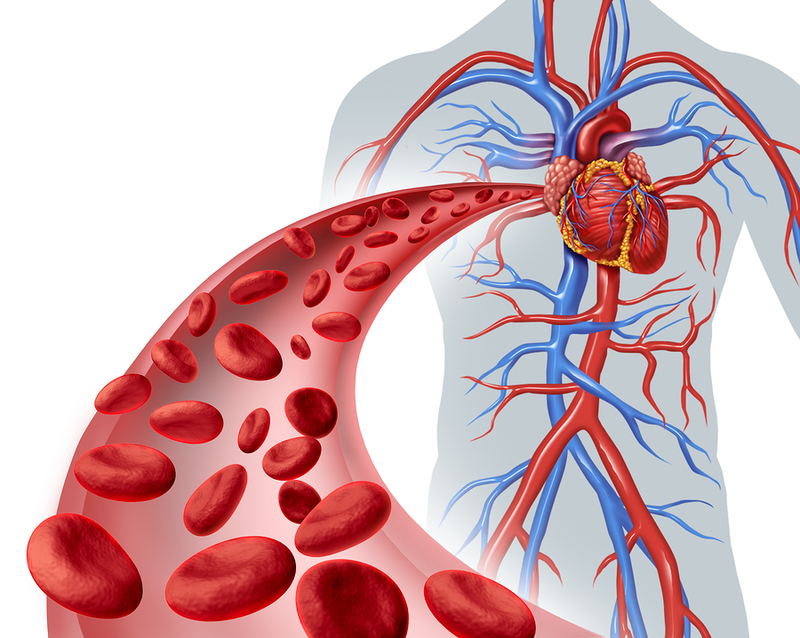 Nitric oxide is the body’s tool to keep blood pressure normal by widening the diameter of arteries. High blood pressure leads to accelerated hardening of the arteries, because the oxidized LDL cholesterol gets deposited right under the diseased lining of the arteries. Just lowering the blood pressure with medications will not remove the other risk factors; they have to be addressed separately. The DASH diet has been developed to assist in lowering elevated blood pressure. 13. Low nitric oxide: Too much sugar and starch in one’s diet cause oxidation of LDL cholesterol as explained and this causes a dysfunction of the lining of the arteries resulting in less production of NO (nitric oxide). The lack of nitric oxide causes constriction in the arteries throughout the body, which will in turn elevate the blood pressure. Exercise will also lead to more nitric oxide production, but the right diet is the other factor. There is a supplement you can buy, called NEO-40 (one or two per day can be taken as a supplement, available on Amazon in the US, in health food stores in Canada). But make no mistake: it’s not about supplements; it is about the proper diet and lifestyle! 14. Vitamin D3 deficiency: I have blogged about the importance of vitamin D3 before. Vitamin D3 is now considered to be a hormone, as all cells have receptors for this molecule. It has anti-inflammatory qualities. It helps in the prevention of heart attacks and strokes. 15. Low vitamin K2: In this blog I have explained that vitamin K2 and vitamin D3 co-operate in removing calcium from the blood and transporting it into the bone. This way they both help in the prevention of osteoporosis. A co-factor in the prevention of osteoporosis is estrogen in women and testosterone in men. 16. Low free testosterone: Low free testosterone has been established as an independent risk factor for heart attacks and strokes. In the man there are a lot of testosterone receptors located in the heart and in the brain; this explains why with a lack of testosterone there is not only erectile dysfunction, but also the risk of developing a heart attack or a stroke. 17. Excess estrogen: When a women approaches menopause, her menstrual cycles can become irregular due to the fact that there are anovulatory cycles, and the progesterone production is starting to slow down. This hormonal state is called estrogen dominance, because estrogen dominates over progesterone. In other words, the ratio of progesterone over estrogen is less than 200 to 1 (progesterone/estrogen ratio) when saliva hormone levels are measured. 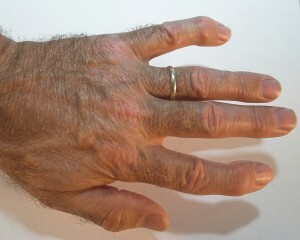 This is a risk factor for hardening of the arteries. In males with a “beer belly” there is too much estrogen floating around due to an enzyme in fatty tissue, called aromatase. This enzyme manufactures estrogen out of testosterone and contributes along with other factors to causing heart attacks in that scenario. How can we protect ourselves from these factors? As already indicated above, there are lifestyle issues that need to be addressed as follows. First adopt a healthy diet, such as the Mediterranean diet, which includes olive oil. No sugar, no bread, pasta, potatoes, and go extremely easy on certain fruit that is high in sugar, such as dried fruit, mango, bananas and grapes, because we do not want to oxidize our LDL cholesterol for reasons explained already. Exercise regularly. If you like, go to a gym (my wife and I do this regularly). If you are insecure, ask a trainer initially to guide you through the exercise equipment. It really is not that difficult to do. You develop a routine that is good for you. Alternatively, you may want to go for a brisk walk, run or participate in dancing. 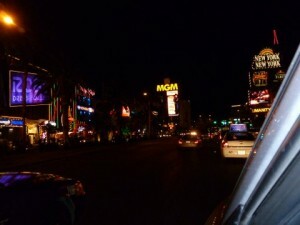 If you get easily bored, rotate the activities, but do not skip days, let alone weeks! Remember that your heart works 24/7! Take some vitamins and supplements: Vitamin B2, B6, B12 and methyl folate were mentioned before. Take vitamin D3 in a good dose like 5000 IU per day or more and vitamin K2 200 micrograms per day. Omega-3 supplements (EPA/DHA) are very useful to keep inflammation under control. For more on vitamins and supplements follow this link. Have your hormones checked. Some doctors do not feel comfortable about this; maybe you want to see a naturopath about it instead. Your body needs the hormone receptors satisfied by adequate bioidentical hormone levels; otherwise you age prematurely and give up body functions that you would rather keep. Normal hormone levels prevent osteoporosis, premature hardening of the arteries, Alzheimer’s, erectile dysfunction and premature wrinkles. All of these 17 factors explained above are independent risk factors for developing hardening of the arteries, which affect mainly the heart, brain and kidneys. All you need is one of these factors, and you could develop a heart attack, stroke or kidney failure. You have no problem accepting a preventative maintenance program for your car. Think of having appropriate tests at least once a year done through your doctor. There are blood tests available to monitor hormone and vitamin levels, as well as C-reactive protein and homocysteine levels. Here are also three tests that will assess your heart function. Your doctor may not order the tests spontaneously. Ask for it! You often hear that chelation could be done effectively using home remedies. Is that true? I like to mention in the beginning that the proven way to reduce heavy metals in the blood (typically mercury and lead) is by intravenous chelating agents such as EDTA. However, the lowering of calcium levels as a severe side effect limits the application of it. There are also blood-thinning side effects to consider. EDTA is a chemically synthesized compound, not a natural substance. Conversely, vitamin C and Glutathione are both antioxidant substances that the body knows; they are non-toxic and can be used more easily intravenously to remove heavy metals like lead and mercury with fewer side effects than EDTA. Although I think that EDTA has a place in the hands of those who are knowledgeable about the side effects, the vitamin C/Glutathione combination is probably a more physiological detoxification method as glutathione is synthesized by the liver to detoxify our bodies. Intravenous chelation is expensive, requires access to a vein and may not be a suitable way for many people to detoxify. There are natural ways to detox for those who cannot afford chelation or cannot chelate for other health reasons. The major detoxification organs are: the liver, the kidneys, the gut, the lungs and the skin. What about oral methods to detoxify? Several methods of cleansing are fasting, the major cleanse or the raw food cleanse. I would not advise to do strict fasting without fluid intake as it takes fluid intake to be able to dissolve any released toxins into urine, feces, invisible fluid from exhaled air and nasal discharge. Next there is the “master cleanse” with lemon juice, maple syrup and cayenne pepper as indicated in the link above. Some people like trendy procedures that are written up in a magazine or in a self-help book. I do not like it, as it reminds me too much of a cookbook approach. 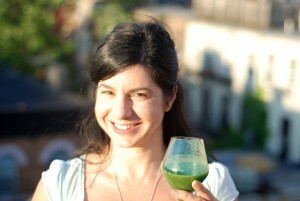 I feel differently about a raw food cleanse as I will explain. First, I like to point out that raw food is not easily digested as your gut absorbs only about 30 to 40% of the nutrients. The cell walls of the vegetables you use are the barrier towards absorption. This is much different, if you put the raw fruit and vegetables into a blender with a high power motor. (There are several brands like the BlendTec or the Vitamix.) The powerful blending process breaks up the cell walls and releases the content of the plant cells including their enzymes and nutrients, so that 80% of the nutrients are absorbed in your gut. 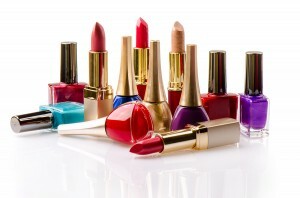 If you use organic ingredients (they do not contain toxins, artificial fertilizer residues etc.) you cannot go wrong! Use spinach, kale, banana, mango, greens, lemon juice, and for fat add some nuts like walnuts, Macadamia nuts, almonds (provided you are not allergic to them). With the help of a powerful blender all this will turn into a liquid drink that actually tastes OK. For protein supplementation I would also add some protein supplement like vegan protein from the health food store, whey protein or egg white protein (good to rotate these protein supplements). This mix is a complete nutritional program as it contains complex carbohydrates from fruit and vegetables, fat from nuts, protein from the protein supplement and fiber (from the whole vegetables and fruit). You will not get hunger pangs as with a fast or the master cleanse. Use the signs of your body as guidance. If you feel energized after 5 days, stop then and return to your normal food intake (zone type diet, a Mediterranean diet or South Beach diet as explained below). Some people have the will power to do 7 to 10 days of the liquid diet described. Good for them, at least they do not starve themselves as the calories and total nutrient content are there while they detoxify. What are the agents that lead to the detoxification process? It is the enzymes released from the fruit and vegetables, the lack of toxins as you only consume organic ingredients , the extra vitamin C from the food and the glutathione contributed from your liver that are working together. Are there supplements that can help you to detoxify? Chlorella powder, which you can buy in health food stores, is one of the few supplements that can detoxify your body from heavy metals. As Dr. Mercola describes that in Japan chlorella powder is one of the most popular supplements to detoxify. It is difficult to get a complete, non-biased picture about chlorella. I did an extensive research in MD Consult about the scientific evidence for detoxification by chlorella in humans. Unfortunately the search results came back only for experiments with mice and rats, but there were no human detox results. Perhaps the Wikipedia description about the history of algae and chlorella as a possible food supplement sheds some light on the difficulties getting real hard data on chlorella detoxification. In rats that were deliberately poisoned with cadmium (a heavy toxic metal) no convincing detoxification with chlorella could be detected when cadmium poisoning was stopped. However, the article goes on to say that chlorella did prevent absorption of cadmium from the intestines to a certain extent (in rats). Dr. Max Gerson invented coffee enemas many years ago when he treated end stage cancer patients with natural methods. He found that when he detoxified them with raw juices, many cancer patients died from the toxic breakdown products of dying tumor cells. So he was in dire need of a procedure that would remove the toxic tumor substances efficiently. This is when coffee enemas were used. 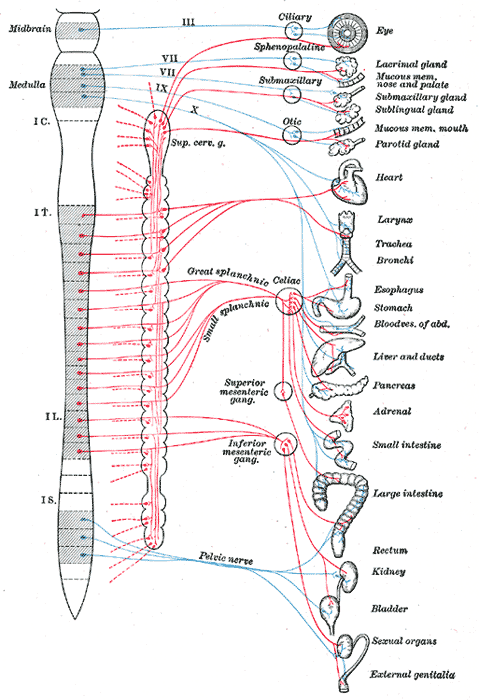 As the link above describes, coffee given through the colon as an enema (we would perhaps call it “coffee colonics” today) stimulates the liver and the bile flow thus detoxifying the blood effectively of toxic materials. In addition the secretory capability of the large surface of the colon wall also helps the detoxification process. Juicing in combination with coffee enemas improved Dr. Gerson’s end stage cancer cure rates dramatically. Subsequently, Dr. Kelley developed his nutritional-metabolic therapy for end stage cancer patients where he added large amounts of pancreatic enzymes in addition to coffee enemas. Dr. Denis Burkitt is credited for recognizing the importance of fiber in the diet. He noticed that there was a striking difference between the colon cancer rates in England versus the rates in Africa. He analyzed food habits and came to the conclusion that back home there was not enough fiber consumed. A large study done by the Harvard Medical School showed that it was not so much the fiber that helped to prevent colon cancer. Further large scale studies were done and it was shown that a diet high in vegetables, fruits, and whole grains was what was responsible for a reduction in colon cancer rates. This type of diet will also help detoxify your system from carcinogenic substances in general and from other toxins as the soluble fiber inside the gut will attach to it and go down the toilet instead of being reabsorbed in the colon into your system causing cancer. The skin is the largest body organ with a lot of skin surface where skin pores can help detoxify under the right circumstances. This can be achieved with infrared saunas, with exercise that leads to production of sweat and by soaking in Epsom salt baths. Traditionally this has been done for centuries in the European spas, originally described by Sebastian Kneipp. The medical establishment in Europe (France, England, Germany, Austria), unlike American physicians, embraced the concept of natural therapies under the term “balneology”, at least for a number of decades. But overuse by patients (abusing the system), badmouthing the relatively weak effect of detoxifying by Big Pharma and lack of funds from the health insurance companies put a damper on his movement. Part of this approach was the use of skin detoxification with healing baths (using Epsom salt and other salts) and physical exercise to the point of sweating. In addition “Waechselbaeder” according to Sebastian Kneipp (alternating hot and cold baths) were also used to stimulate the circulation and the immune system. The major component of Epsom salt is magnesium sulfate, which can be absorbed through the skin to a certain degree. So, some of the healing effect of Epsom salt baths may have come from an indirect balancing of low blood magnesium and the normalization of many metabolic processes that require magnesium as co-factors. Here is another, more vernacular description of Epsom salt use. 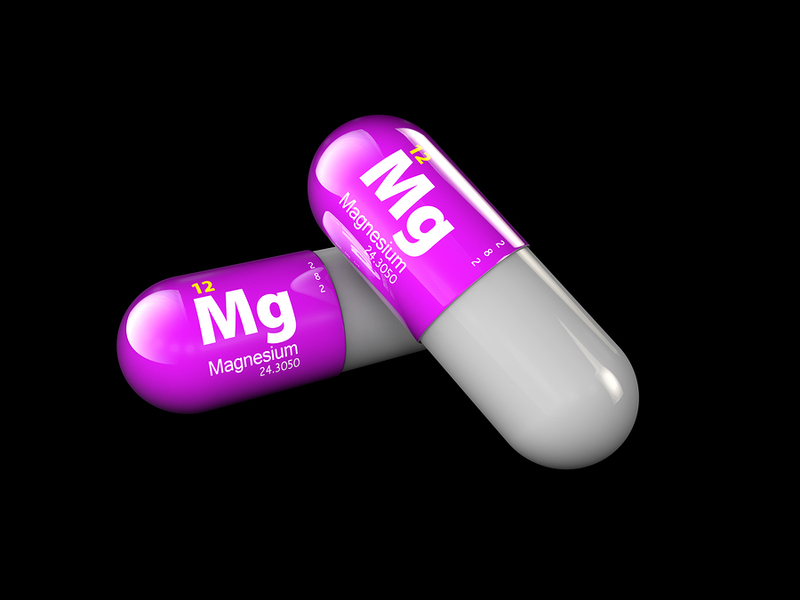 Some of the assumptions such as improvement of diabetes, improvement of digestive absorption or relief from migraine headaches may be a combination of exaggeration and placebo effect rather than reality. The kidneys along with the liver are the major, natural detoxification organs of the body. However, they need enough fluids to dissolve water-soluble toxins and eliminate them from the body through the urine. Clean water should be consumed intermittently during the day (reverse osmosis water in glass bottles or BPA free bottled water). Because alcohol is a cell poison damaging the vital organs like the brain, heart, liver and kidneys it is best to minimize any alcohol intake to the absolute minimum (best to avoid alcohol altogether). The main filtration devices in the kidneys are the glomeruli, little packages of convoluted capillaries, which filter the blood several times per day. High salt intake, too much sugar and too much starch interfere with normal function of the glomeruli. Insulin resistance as is the case with metabolic syndrome and diabetes (often associated with obesity) will damage the filtration devices of the kidneys and cause toxin accumulation. To prevent damage of the kidney capillaries you need a healthy, basic diet like the Zone diet, South Beach diet or the Mediterranean diet as mentioned in this link. 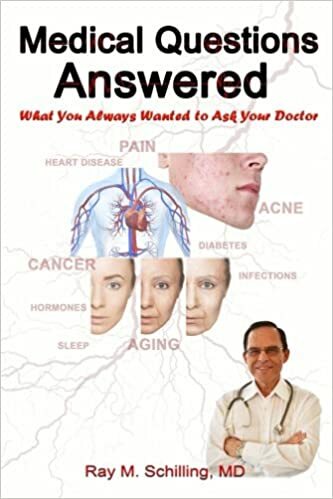 This will keep fat deposits out of your arteries and the capillaries of the glomeruli of your kidneys, so the filtration process continues to work until a ripe old age. Your doctor can order tests (creatinine clearance) to assess whether the filtration capacity of your kidneys is normal. Many toxins are fat-soluble and are stored in the fatty tissues. When you lose weight, you will need to drink more fluids to get rid of the water-soluble toxins through the kidneys and use coffee enemas to rid yourself of fat-soluble toxins (through bile and bowel movements). There are a lot of websites that want to sell you herbs that should cleanse your system. They have a marginal effect, but I would stress that you want to adopt one of the diets mentioned above first to start with a healthy baseline. Such herbs as Buchu (Agathosma Betulina), Burdock, Echinacea and Yellow Dock Root (Rumex Crispus) are supposed to help the kidneys to detoxify. I am not certain whether there is medical proof for this. Detoxification starts with adopting healthy food and lifestyle habits first. A low carb, low fat type diet as indicated (zone diet, a Mediterranean diet or South Beach diet) will be the footing from which the other detoxification methods will work. Some of the toxins will leave you when you work out and sweat. More will leave you when you enjoy an Epsom salt bath. This will give you some extra magnesium, which in turn will help to detoxify your system through several biochemical reactions where magnesium is a co-factor. Colonics or enemas will help remove toxins through your colon and they are more effective when coffee enemas are used (stimulation of your liver through the splanchnic nerves). Infrared saunas can help to mobilize toxins and detoxify them through your skin. Take ample amounts of fluids as this will help remove some toxins through the kidneys and the urinary system. 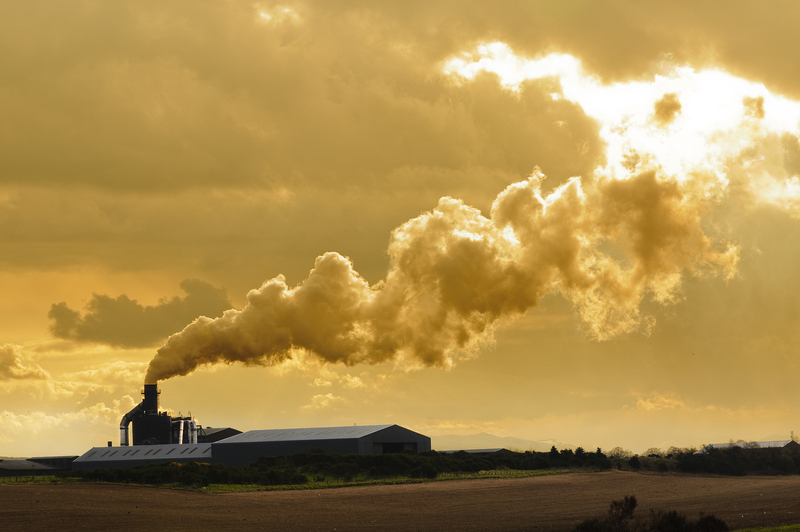 If major heavy metal poisoning were detected, the traditional intravenous chelation treatments described at the beginning of this blog would be more recommendable. 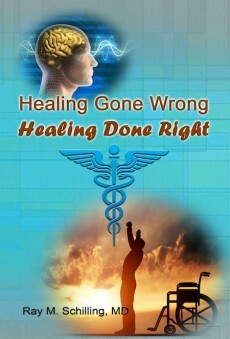 A naturopathic physician or A4M physician (anti-aging physician) could advice you what is best in your case. Overall the thought is that by removing toxins the mitochondria in our cells, particularly in the brain, heart, liver, and kidneys can work more effectively giving you more energy and preventing the major diseases like cancer, cardiovascular disease (heart attacks and strokes), diabetes, arthritis and loss of cognitive function (Alzheimer’s disease and dementia). In the US high blood pressure causes 348,000 American deaths per year, in the world its death toll amounted to 9.4 million every year. This is unfortunate as high blood pressure is an illness, which can both be effectively treated and prevented. Uncontrolled high blood pressure (hypertension) causes heart attacks and strokes, can cause kidney failure, heart failure and blindness. 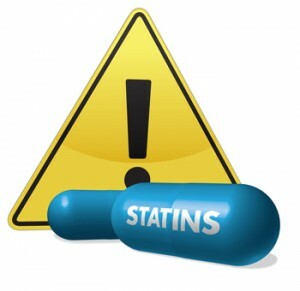 You control blood pressure with lifestyle changes and/or medication, and these risks go away. The age standardized death rate (Ref. 1) for both sexes in the US for heart disease is 80.5 per 100,000 and for strokes 25.4. In Canada these rates are 66.2 and 22.9; in Germany 75.0 and 31.2; in Italy 51.7 and 34.9, in Japan 31.2 and 36.7. The death rates from cardiovascular disease per 100,000 people in the same countries is as follows: in the US 172.2, in Canada 130.7, in Germany 200.2, in Italy 153.5 and in Japan 107.1. There are obviously significant differences in these countries, which I will discuss further below. On the occasion of the World Health Day, which was celebrated on 7 April 2013 to commemorate the founding of the WHO in 1948, with the topic of high blood pressure the World Health Organization has edited a PDF publication of 155 pages entitled “Global Atlas on cardiovascular disease prevention and control” (Ref.1, be patient, loads slowly). 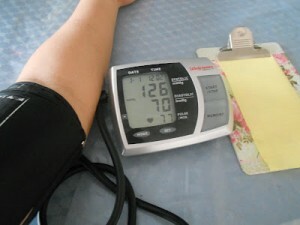 In it prevention and treatment for high blood pressure are discussed in detail. This text points out that there has been a remarkable decline in death rates from heart attacks and strokes (collectively called “cardiovascular disease”) between 1981 and 2000 in the United Kingdom. A thorough analysis of this showed that 58% of this decline was due to risk factor reduction in the whole population (reduction of smoking and heavy alcohol consumption, reduced salt intake, combatting physical inactivity and reduction of saturated fat intake). The other 42% of the decline in cardiovascular disease is due to treatment by a physician. So, it is clear from this that the majority of mortality prevention comes from the patient, less than 50% comes from the treating physician. However, it is important that physicians will educate their patients to cut out risk factors themselves in order to prevent hypertension. In the past it was thought that most cases of high blood pressure would be due to “essential hypertension”, a term saying “we don’t know what causes high blood pressure”. Many physicians still use this term. Only a small amount of cases were considered “secondary” hypertension where the causes were known (e.g. kidney disease, hormonal imbalance, pregnancy). But in the meantime research by Harvard University and other research institutions has shown that there are a number of specific causes that contribute to high blood pressure, either alone or in combination. Diabetes is known to worsen the risk for heart attacks and strokes and increases the risk of high blood pressure as well. So, some hidden risk factors for high blood pressure related to diabetes are as follows: a high fasting blood sugar; obesity; food with too much fat, too much sugar and too many starches (not enough complex carbohydrates). What Can Be Done To Reduce Death Rates From High Blood Pressure? As Canada is one of the countries where the death rate from strokes and heart attacks is lower than in the US or Germany, I like to point out some of the reasons for this. I practiced medicine in Canada for many years. The “Canadian Hypertension Education Program” have been guidelines for practicing physicians to follow providing effective screening and treatment of high blood pressure. Cardiologists at various continuing education conferences have promoted this. At my office I had a hypertension recall program where my staff called every patient with high blood pressure into the office every 3 months. We would review the home-measured blood pressure readings from the patient (recorded in a little booklet). I also took the blood pressure of the patient and so did my staff on the patient’s arrival. We reviewed the blood pressure medication and reviewed the possible side effects. The patient was also told what to do, if the blood pressure would be higher than normal (possible adjustments of the medication at home). I also encouraged my patients with regard to the life style issues (the 5 points mentioned above). Over the years the number of patients who developed heart attacks or strokes declined, as one would expect. A recent review in the Canadian Family Physician mentions that there is room for improvement regarding the Canadian statistics. As mentioned above Italy and Japan are doing better with regard to mortality from heart attacks and strokes compared to Canada. We have a health care system in Canada that is available to every Canadian resident and funded by provincial taxes. In this system patients do not have to pay for office visits (although they pay for it indirectly through taxes). For the patient with high blood pressure it means that there is a system in place, which helps prevent cardiovascular disease and treats high blood pressure effectively. In my opinion the home recording of self-measured blood pressure readings at least once per day with a home blood measure monitor is vital to encourage the patient to be engaged with regard to his/her blood pressure problem. For years physicians did not know where high blood pressure came from. In the last few years research has shown that nitric oxide plays an important role in preventing high blood pressure. It is produced by the lining of your arteries (by the so-called “endothelial cells”) and is the natural artery relaxer. Foods that produce nitric oxide in the body are spinach, kale, red beet, cabbage varieties and other vegetable greens. These foods, which are also contained in the DASH diet, and regular exercise will stimulate the lining of your arteries to produce nitric oxide, which prevents high blood pressure, heart attacks and strokes. If all these measures and the above recommendations to prevent high blood pressure do not help, it is time to treat it. As already indicated above it is important that the patient who has been identified as needing high blood pressure treatment with medication, takes the medicine regularly (called ”compliance”). By keeping the blood pressure reading below 120/80 you prevent your risk of getting a heart attack, a stroke, heart failure or blindness from broken retinal vessels. If the patient develops any side effect from the medication, it is important to see the physician about this right away. It may be that the medication has to be adjusted or altered. Nitric oxide can be taken as a supplement (Neo40), which allows the endothelial lining to be regenerated as indicated in this interview with the inventor, Dr. Nathan Bryan from the University of Texas Health Center in Houston. The older we are, the more likely it is that our blood pressure will be high. As this link shows, 2 out of 3 people above the age of 60 in the US have systolic hypertension (the upper value of the blood pressure is elevated). As we age, it appears that the lining of the arteries do no longer produce the required amount of NO (nitric oxide) to prevent high blood pressure and prevent hardening of the arteries. So, it would be wise to adopt the Mediterranean diet with lots of vegetables, spinach, kale, bok choy, Swiss chard and others to boost your NO production, but still measure your blood pressure regularly. If you do not have a home blood pressure monitor, go to a pharmacy that allows you to check your blood pressure for free. 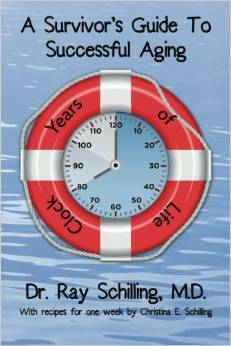 If it is above 120 over 80 seek the advice of a health professional. You can find more information in Ref. 1. In essence, what World Health Day 2013 asks us to do is to pay attention to your blood pressure and make sure it is normal.